We’re delighted to be bringing Simone Felice back – this time, for our first ever show at St Michael’s! Simone Felice is a founding member of internationally acclaimed Catskill Mountain based artists The Felice Brothers, whose seminal self-titled album remains one of the most influential works of this century’s indie-folk revival. In the spring of 2010 Simone underwent emergency open-heart surgery to halt the degenerative effects of a childhood fever. It was this dance with death – coupled with a need to tell his own story – which prompted him to walk the solo path. 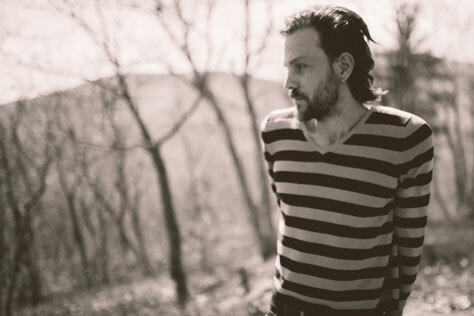 His new live double album From The Violent Banks Of The Kaaterskill (featuring The Felice Brothers) will be released this summer on Mighty Hudson Records. This special anthology showcases selected works from a decade of writing, truly capturing Simone’s rare gift as a songsmith, poet and visionary. Support comes from Dan Whitehouse, whose new album, Raw State, features some of the songwriter’s best material – head and heart music, rooted in the human condition. Produced by Danny George Wilson and Chris Clarke (from Danny and the Champions of the World), the collection also a significant collaboration with pedal steel legend BJ Cole. This will be the first public concert in St Michael’s since its recent re-opening, having been closed since 2004. The Roman Catholic church was founded in 1859 and became the heart of the Little Italy Community in Ancoats.